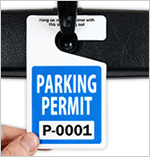 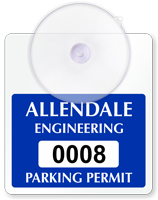 Are you stuck trying to figure out which adhesive is best for your parking permit? 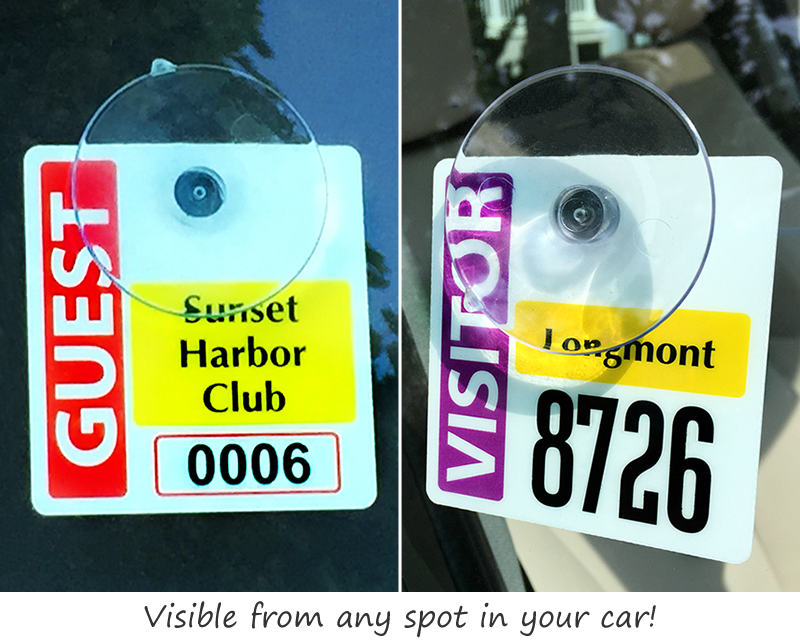 These durable, reusable suction cups are the perfect alternative solution! 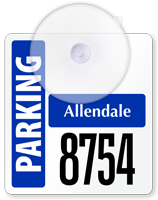 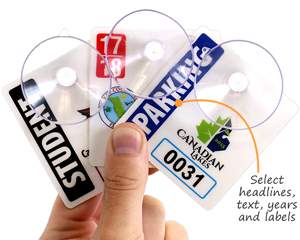 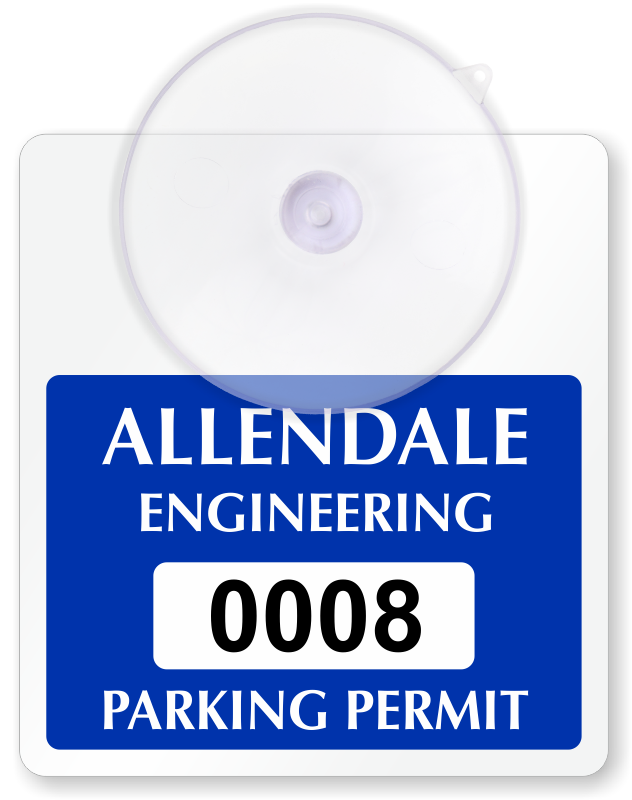 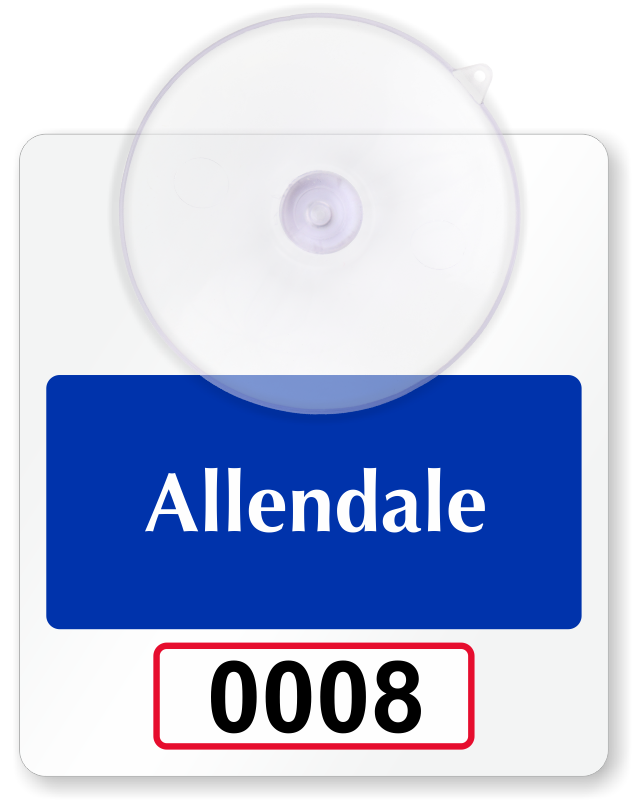 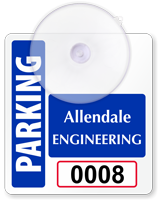 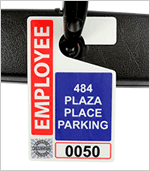 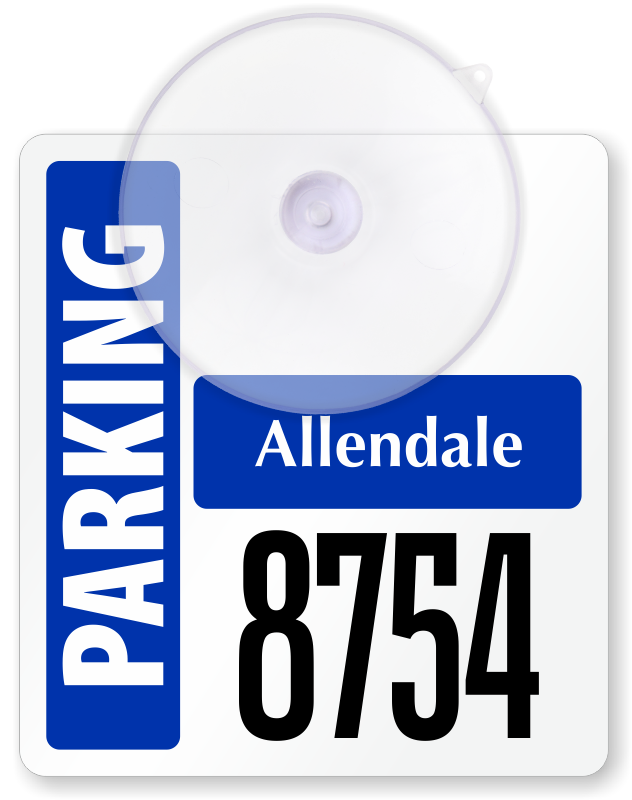 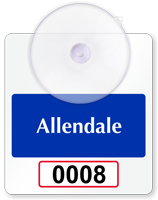 • Laminated plastic tags are tear-proof, weatherproof, chemical-resistant and durable enough to withstand dirt, grease, liquid-splashes, and repeated abuse or rough handling. 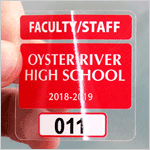 • Tags are digitally printed in full-color with long-lasting UV resistant inks that prevent fading and discoloration in the sun — extending the product life. 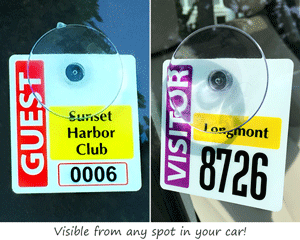 • Includes plastic suction cups for easy installation onto windshields. 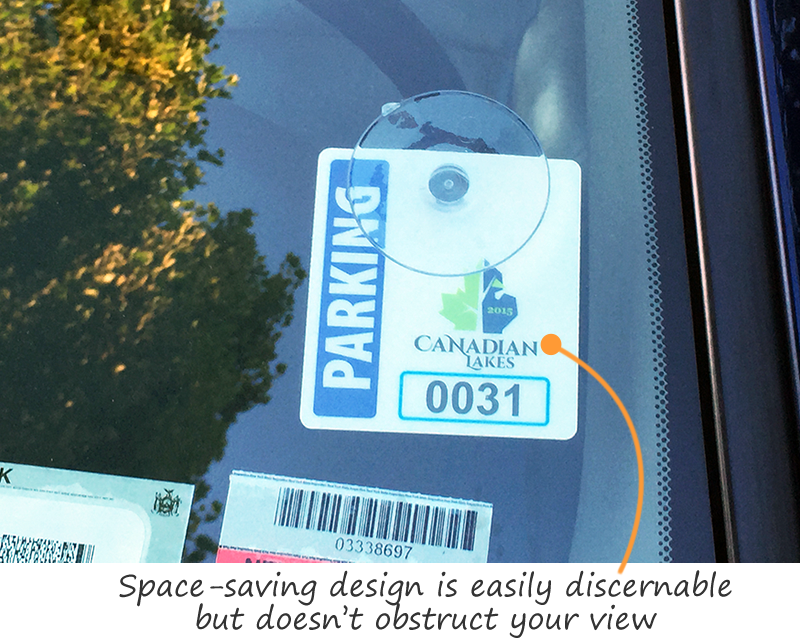 Suction cups can be easily removed and transferred to another vehicle. 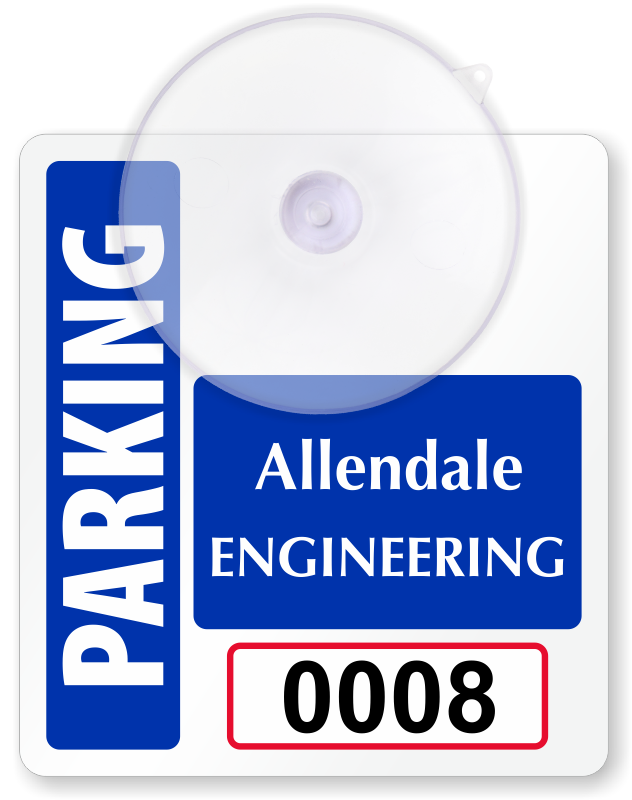 Slightly thinner than our original placards, but very nicely done. 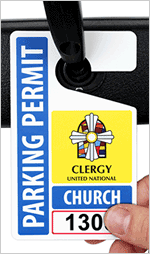 I will be ordering again.